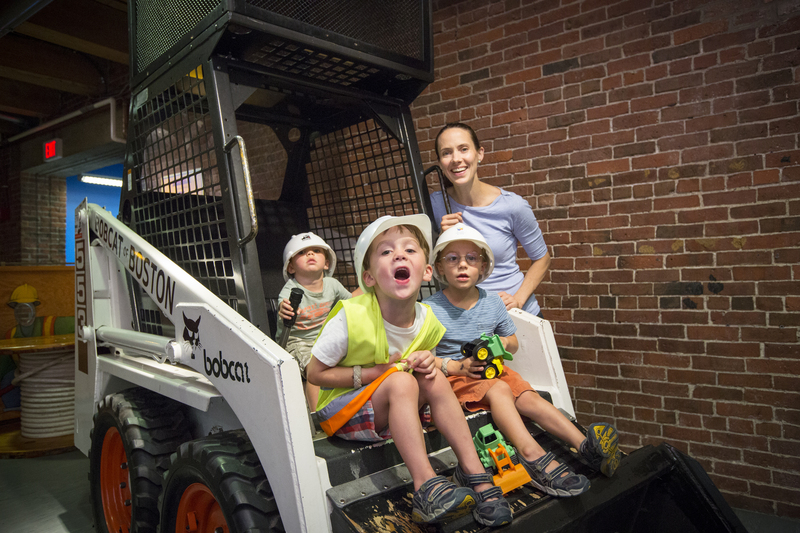 How many visitors drive the Bobcats in Construction Zone on a typical day? Do visitors in PlaySpace use the resources we create for them? If a child doesn’t get to go on stage during a KidStage play, how might that affect their experience during the show? If visitors use an exhibit in a way we didn’t design for, but they still have fun, is the exhibit a “success”? At Boston Children’s Museum, where visitors choose their own route, create their own experiences, and construct their own meaning from all that happens during their visit, questions about evaluation and measurement can be challenging to answer. There is no such thing as a “standard” visitor experience, so the idea of “measurement” takes on a whole new meaning within the Museum walls. So how does Boston Children’s Museum go about evaluating programs, exhibits, and visitor experiences in ways that help meaningfully inform our practices or improve the museum experience for visitors? As the Museum’s Evaluation Coordinator, my role is to implement evaluation projects that work to answer these questions while not losing sight of the inherently playful and open-ended nature of a museum visit. Here’s a little glimpse into how this work gets done at Boston Children’s Museum. Watching visitors explore, play, create, and interact – and taking good notes on what visitors are actually doing – is a crucial part of any evaluation project at the Museum. Are visitors using an exhibit component in the ways we thought they would? Do they appear interested and engaged? Are they having fun? Last summer we spent time observing several special workshops created for an audience of older children and their families. We observed that during a music workshop, adults and caregivers took a backseat and watched their children explore sounds and create musical instruments. However, during an engineering workshop, adults and children actively worked together to build structures that would hold up against a simulated earthquake. As educators and program planners in the Museum, we now have a better idea of what kinds of activities engage both adults and children, because we took the time to observe real visitors engaged in real Museum activities. Sometimes, we need to collect data from many visitors, but we just don’t have enough time or staff members available to interview people in any open-ended way. Surveys are a great way to get a lot of information in a short amount of time. Recently, we collected surveys from KidStage visitors, and what we learned opened up a host of new questions for us to explore. For example, we found that Friday Night visitors had more positive experiences in KidStage than Weekday visitors. Why might this be? These surveys helped us learn about visitors’ experiences in KidStage at a certain level, but we’ll need to continue asking good questions to really understand where we can continue to improve. Asking visitors to tell us about their experiences, in their own words, is a vital part of understanding how visitors actually experience the Museum. What do visitors think they’re getting out of a Museum experience? How are they connecting with exhibits and programs? What do visitors think is missing, or what could the Museum do to improve? 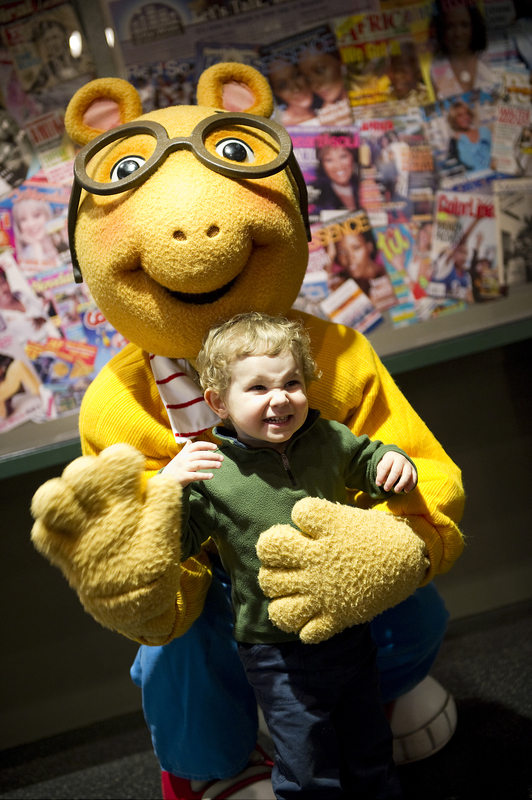 Recently Boston Children’s Museum celebrated Arthur the Aardvark’s 8th birthday. Some Museum staff were curious: How many visitors came to the Museum to celebrate with Arthur? To answer that question, we asked visitors a few short questions, one of which was the open-ended question: Why did you decide to visit Boston Children’s Museum today? We learned that nearly 20% of visitors came to celebrate with Arthur. However, allowing visitors to describe their reasons for visiting, in their own words, also taught us some interesting things about what gets visitors to the Museum. Many visitors were simply looking for something fun to do with their kids while visiting Boston. Others were using the Museum as a way to spend time together with family and friends. Learning about our visitors through these simple, open-ended questions helps us see our visitors in more nuanced ways, and helps us create experiences that can better serve the diverse needs of our audience. 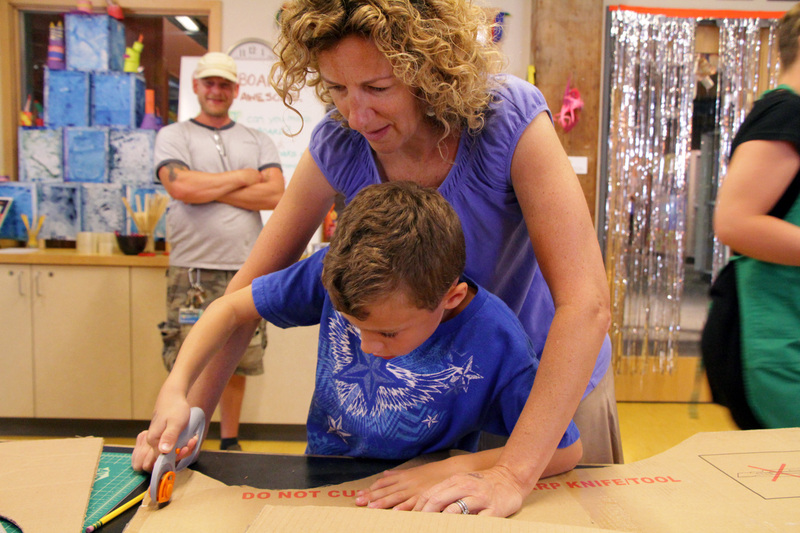 At Boston Children’s Museum, we aim to “spark a lifelong love of learning” within our visitors. We also work to maintain this spark within ourselves, as the playful educators and experience creators we are. Evaluation at the Museum keeps us asking questions and seeking new insights from our visitors, which help us sustain our own love for inquiry and curiosity, and our own desire for “joyful discovery” in the work we do every day. What a fantastic read! We applaud your efforts to seek visitor feedback and plan your programming around visitors needs. Keep up the good work!